A former Davao City employee claiming to be Matobato’s relative denies the latter’s links with the Davao City Government. Edgar Matobato is a witness in the ongoing senate investigations on extrajudicial killings headed by Sen. Leila de Lima. He claims to having been a part of the vigilante group Davao Death Squad, allegedly headed by President and former Davao City Mayor Rody Duterte. 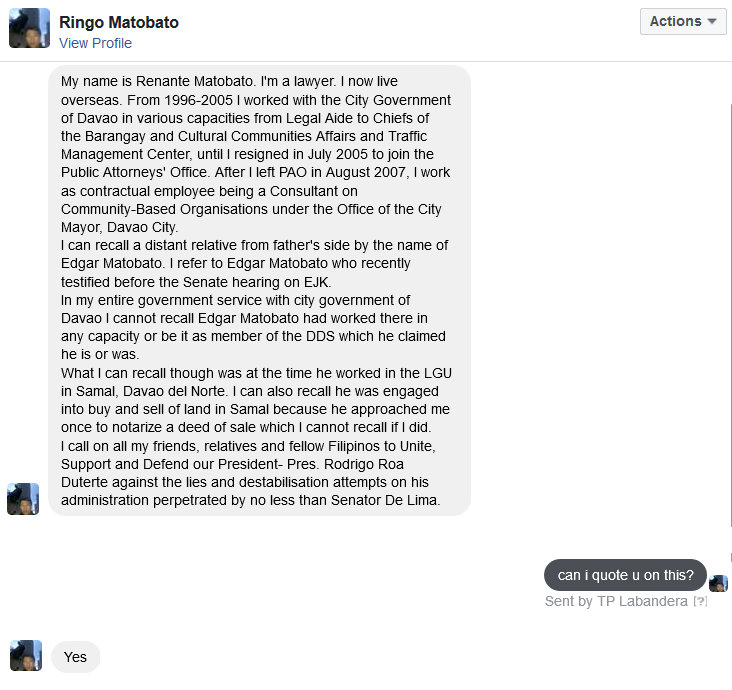 “In my entire government service with city government of Davao I cannot recall Edgar Matobato had worked there in any capacity or be it as member of the DDS which he claimed he is or was,” Renante said. In his senate testimony, Edgar Matobato claimed to be "ghost employee" of the Davao City Government [Star]. A "ghost employee" is someone on the city's payroll who doesn't actually perform work as defined by the employee's job description. This means, however, that Edgar Matobato's name should still be on the employee roster. Renante was Legal Aide to Chiefs of the Barangay and Cultural Communities Affairs [PIA] and Traffic Management Center until he resigned in July 2005 to join the Public Attorneys' Office. Edgar Matobato, a real estate agent? Renante has met Edgar before. 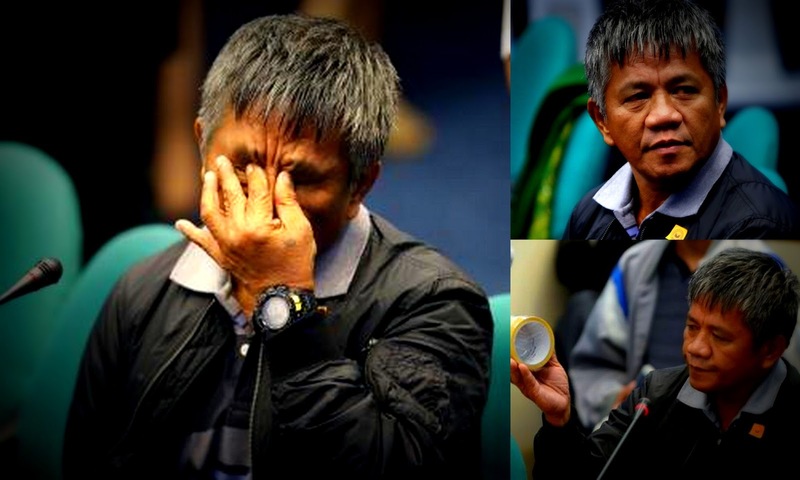 "What I can recall though was at the time he worked in the LGU in Samal, Davao del Norte. I can also recall he was engaged in buy-and-sell of land in Samal because he approached me once to notarize a deed of sale which I cannot recall if I did," Renante said. Samal is one of Davao's neighboring cities. It is not managed by the Davao City government. Renante now lives in Australia, where he earned a graduate certificate in Australian Migration Law and Practice from the Australian National University [SydneyHerald].